The Samsung Galaxy S4 is chock full of features so various and different that many people were wondering how they might use them in their everyday life. Happily, Samsung is here to help with yet another ad of its Android flagship, which thankfully isn’t outright weird. The latest one is titled Swaddle master and features a dad who has to wrap his son in blankets without the help of the mom, who is running errands. 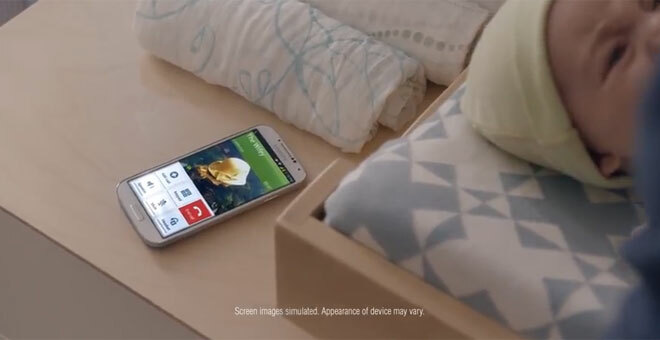 To help him, naturally, there’s the Galaxy S4 right next to the baby ready to serve its duty. Armed with Air Gesture, Smart Pause, and S Voice the dad eventually manages to handle the critical operation quite well, but with a surprising end. Find out what it is in the advertisement below.